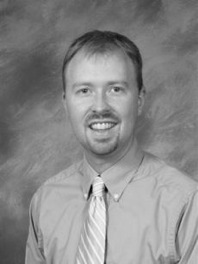 Wes Gunn is the Minister at Redland Hills Church in Wetumpka, AL. In the fall of 2013 Wes dedicated himself full-time to establishing the Redland Hills Church with a group of families in order to focus on the 52% of people in Elmore County who claim no church affiliation. Both he and his wife are regularly involved in community activities to make the community a better place and serve their neighbors. While working towards the growth of this new faith family, he remains committed to the mission works he has been a part of around the world. Wes has spent time in more than 30 countries, primarily in Africa and Asia, leading people to serve others abroad. As a founding member and visionary of Mtendere Village, Wes is a key advisor for the work there, and travels to the country with volunteer teams multiple times each year. He is also actively involved at Blessings Hospital (located on the same campus as Mtendere Village) working to raise the level of health care in Malawi through the Chikondi Health Foundation, where he serves as the president of the organization. Wes and his wife, Amanda, have two children, who also travel with him on occasion. Wes graduated from Auburn University with a degree in Communication.